The Duke and Duchess of Sussex paid their respects to the Christchurch shootings victims during a visit to New Zealand's High Commission in London. 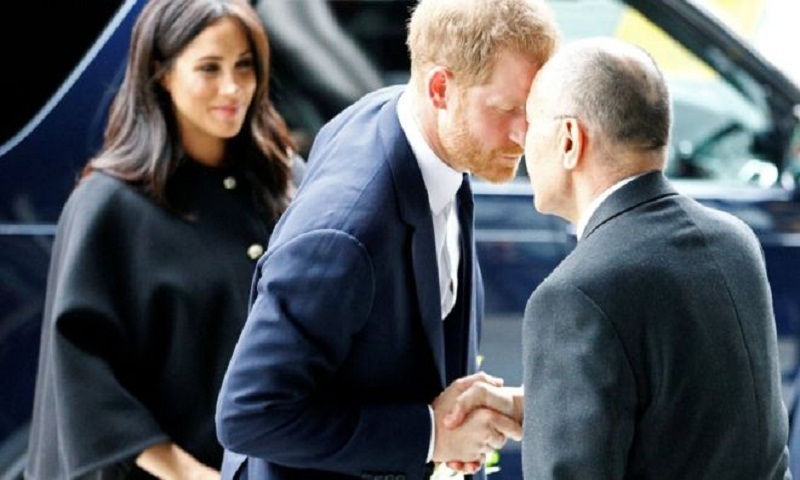 Prince Harry and Meghan were greeted by High Commissioner Sir Jerry Mateparae before laying flowers and signing a book of condolence. They wrote "we are with you" before signing off with the Maori word "arohanui", which means "much love". Fifty people died in shootings at two mosques in Christchurch on Friday. The duke and duchess were among the first people to sign the book of condolence, which the High Commission says will be open for visitors to sign until 17:30 GMT on Thursday. The couple added their bouquets of flowers to those left by members of the public outside the building. Prince Harry also visited Christchurch in 2015 when he was told about the city's efforts to regenerate after an earthquake which struck the city in 2011.